Hapag-Lloyd Cruises announces the arrival of its March 2012 – May 2013 expedition brochure. Their small and beautifully appointed expedition ships, MS Hanseatic and MS Bremen, will offer fully a dozen international (English/German) itineraries next season. These include travel in Antarctica, the Northwest Passage, Greenland, Spitsbergen, Norway, the Amazon, the South Seas and New Zealand. In addition, the expedition itineraries feature new ports of call in Madagascar and Mozambique and a maiden voyage through the Sea of Okhotsk in Russia’s Far East. The Hanseatic , the world’s only 5-star expedition ship and the Bremen, a 4-star expedition ship, were created to provide intensive exploration in the most elegant surroundings for a maximum of 184 guests on the Hanseatic and 164 guests on the Bremen. 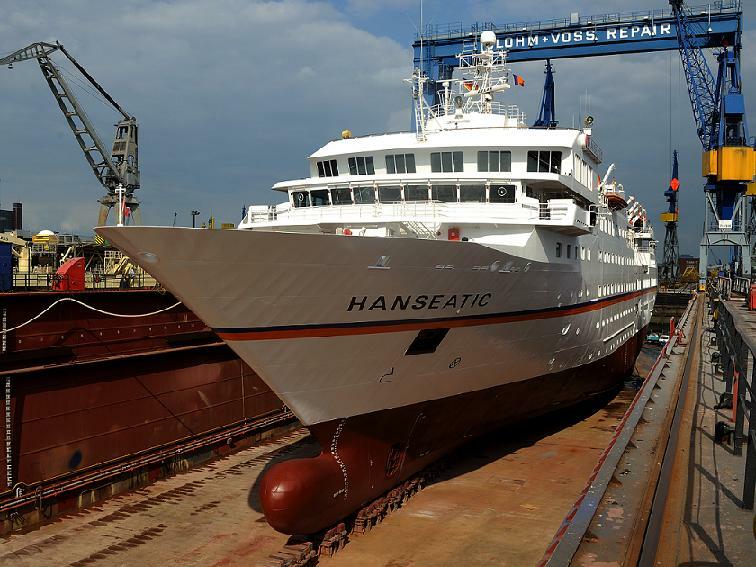 For the first time, the Hanseatic sets out to circumnavigate the Sea of Okhotsk, in Russia’s Far East, taking guests to volcanoes, geysers and glaciers. Zodiac stops on the Sea of Okhotsk include: Iony, a tiny island populated by sea lions and Shantar Islands and Malminskie Islands, natural sanctuaries for songbirds, birds of prey, seals and sea otters. Guests will experience lemurs in pristine nature, animals in the wild, and wonderful beaches on romantic coasts on the Hanseatic through Mauritius, Madagascar, Mozambique and South Africa. This tropic 16-day adventure will make stops at six new ports along the route, which include stops in the following ports in Madagascar: Maroantsetra, Nosy Hara, Morondava, Nosy Ve, and Toliara and a first time stop in Mozambique, at the picturesque city of Ilha dos Portugueses. 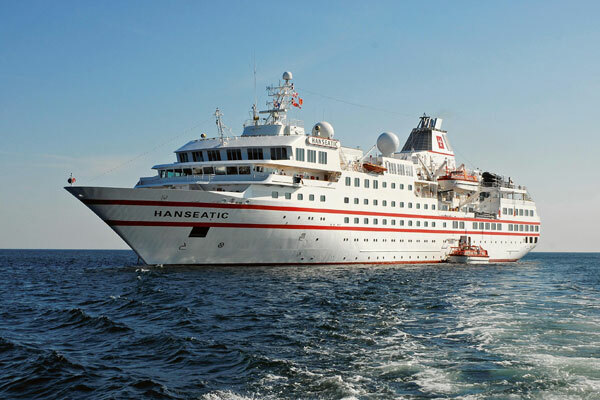 In 2012, the popular Northwest Passage will be offered onboard the Hanseatic . It starts in Nome/Alaska amidst impressive testimonies of the Inuit culture before the Hanseatic sails through the Canadian Arctic, the heart of the Northwest Passage and ends in Reykjavik/Iceland. Glaciers, icebergs, deep fjords and bays offer the setting for an unforgettable Antarctica expedition. In addition to observing bird colonies, guests will also have the opportunity to explore the Falkland Islands and South Georgia, bath in the hot springs on Deception Island and observe whales in the Antarctic Sound. All departs include round-trip airfare from Buenos Aires/Argentina to Ushuaia/Argentina. Both ships are well equipped for travel in difficult waters, holding the highest ice class ranking for passenger vessels (E4). Also shallow drafts and high manoeuvrability allow the ships to enter waters larger cruise vessels cannot reach. Guests explore the world’s best-kept secrets in zodiacs (small motorized boats) with only 10-12 guests. Onboard experts include a team of experienced scientists, expedition leaders and specialists who guide landings and offer guests the rare opportunity to observe plant and animal life up close. However, what makes these expedition adventures standout for guests is the security of knowing that highly experienced captains are guiding the vessels and have together already traveled to the Arctic and Antarctica more than 200 times. Educational experiences are the ultimate goals of the expedition trips. 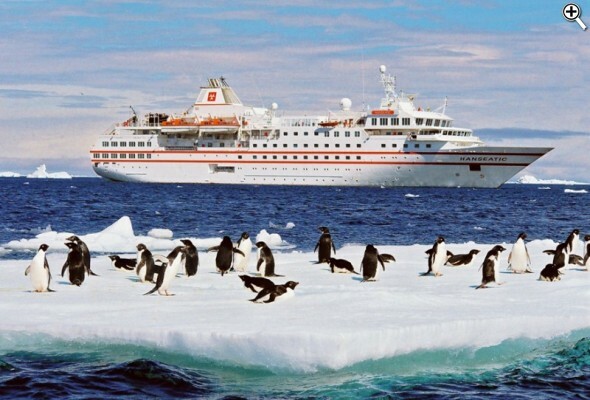 Thereby also, Hapag-Lloyd Cruises is committed to promoting a responsible way of dealing with nature – among other efforts as a co-founder of the Association of Arctic Expedition Cruise Operators (AECO) and member of the International Association of Antarctica Tour Operators (IAATO). In addition, the Hanseatic and the Bremen use low-emission diesel oil rather than heavy fuel oil on cruises to Antarctica, and have been doing so long before the introduction of the current, stricter regulations. Even among cruise destinations known for their unique and obscure ports of call, this one is guaranteed to turn heads: the Northwest Passage. Convinced of its value as a shipping route, the list of those who tried – and failed – to conqueror this waterway on behalf of their country is legendary: John Ross, Sir William Parry, George Back, Sir Robert McClure, John Rae and perhaps most famous of all, Sir John Franklin. It was Norwegian explorer Roald Amundsen who finally discovered the fabled passage in 1906. Despite his discovery, it was far from the open waterway many nations fantasized about. Choked with ice for much of the year, the route opens briefly during the summer months. 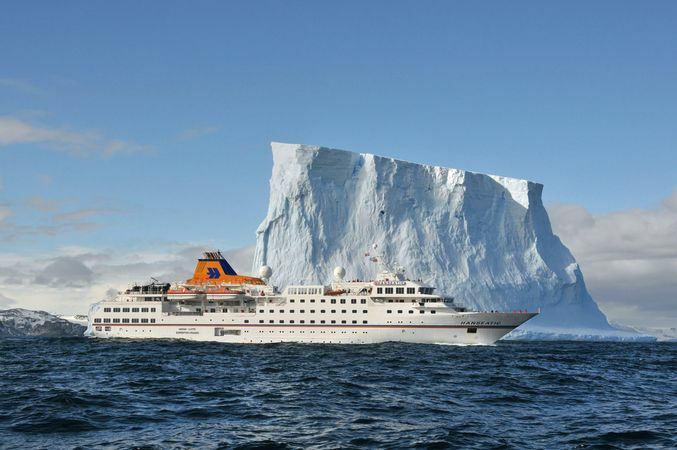 Hamburg-based Hapag-Lloyd Cruises, a leader in five-star expedition and ultra-luxury cruising, has been taking advantage of this small window for the past few years by operating extremely rare Northwest Passage cruises -a decision which has proved to be very successful. This year, the line will operate a full transit of the Northwest Passage aboard the 365-foot long, ice-strengthened MS Bremen. She was specifically designed to sail these notorious waters, and boasts the highest ice class safety rating available to a passenger ship. 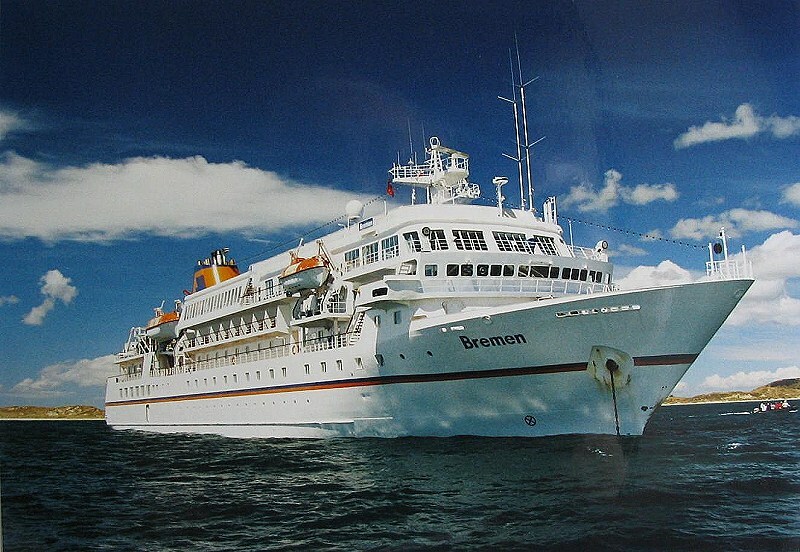 A four-star expedition vessel, the Bremen is as much a working ship as she is a floating palace. On-board, passengers have access to multiple lounges, a library, an expansive dining room, a spa, and even a sun deck complete with a swimming pool. Each and every public room boasts plenty of windows to ensure you never miss the passing scenery. Twelve Zodiac rafts are also located on-board, and allow for passengers to be put ashore in some of the most remote areas of the World. The itinerary includes stops at notable places like Beechy Island. This remote, barren blip in the middle of nowhere played host to one of exploration’s greatest disasters: the Franklin Expedition. Sir John Franklin and the men of his ships HMS Erebus and Terror wintered here in 1845-46, and it was on this desolate island that the first of his men succumbed to illness. Although this year’s transit is sold out, cruisers wanting to take this incredible voyage would do well to start planning now for the next one in August, 2012. Full itinerary and pricing information will be available later this month from Hapag-Lloyd Cruises. Visit www.fromthedeckchair.com for more cruise information, including voyage reports, phototours and daily news.